Buyer pulled out so now is your chance! Back on market after remodel! 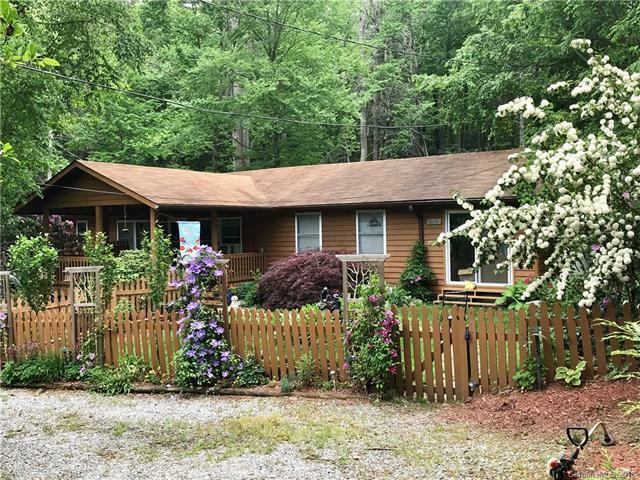 Creekside Sanctuary is a one of a kind/special find property backing up to the Pisgah National Forest in all its glory with hiking trails galore. Has been an artist sanctuary since 1991. Large master bdrm w/walk in closet. Studio room all lead onto extensive back decking onto the creek. Has a sense of privacy and set back off the road w/circular drive. Extensive landscaping. Move in ready! Would be a Perfect vacation rental w/easy access or year round home sweet home! Detached storage building also stays. Owner might consider owner financing. Seller is ready to move NOW! Sold by Local Roots Realty. Offered by Gateway Properties Wnc. Copyright 2019 Carolina Multiple Listing Services. All rights reserved.